Devinyl Splits No. 10 is the fourth split in Devinyl Splits, Vol. 2. 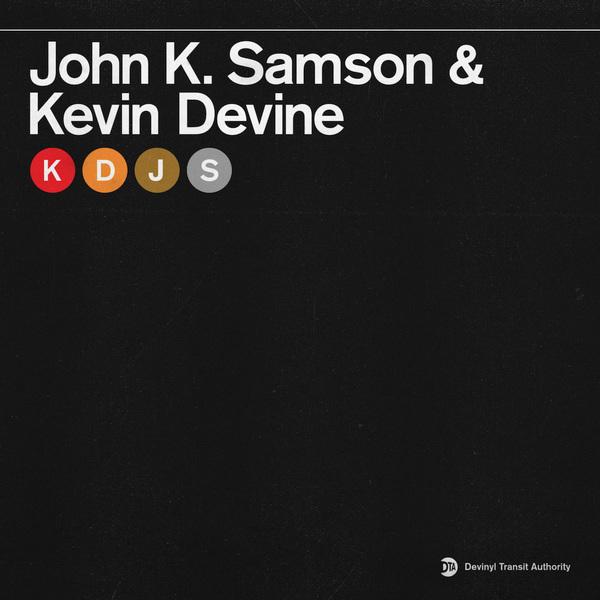 It features John K. Samson on Side A and Kevin Devine on Side B. The split will be released on Nov. 30, 2018, with digital downloads being delivered to your inbox before the release date. The 7"s will ship in advance of the release date. John leads the split with a rendition of Christine Fellows' "Saturday Night On Utopia Parkway," which originally appeared on her 2007 album Nevertheless. John released his second studio album, Winter Wheat in 2016 via ANTI- Records and released four albums with The Weakerthans between 1997 and 2007. You can take a first listen of this track below. Kevin follows with "I Wrote It Down For You," the third new original song that he has released as part of Devinyl Splits Vol. 2. It follows "Kuala Lumpur" from Devinyl Splits No. 7 and "Outstretched & Never-Ending" from Devinyl Splits: Unplanned Service Changes. Both tracks find the songwriters in some of their most well-worn and well-regarding territory. Devinyl Splits, Vol. 2 is a year-long split series featuring Kevin Devine and a variety of partners. One split will be released every other month. The preceding entries in Devinyl Splits, Vol. 2 were Devinyl Splits No. 9: Petal x Kevin Devine, Devinyl Splits No. 8: David Bazan x Kevin Devine and Devinyl Splits No. 7: Craig Finn & The Uptown Controllers x Kevin Devine. Additionally, due to the delay earlier in the release schedule, we released Devinyl Splits: Unplanned Service Changes, a digital-only split featuring the band Worriers alongside Devine. On this page you can purchase Devinyl Splits No. 10 on silver 7" vinyl. There is an additional colorway of this split, which is half silver / half clear, and this variant is made available only to those who purchased the Devinyl Splits, Vol. 2 Express Line Subscription. This split is also available on Bandcamp and in Europe via Big Scary Monsters.